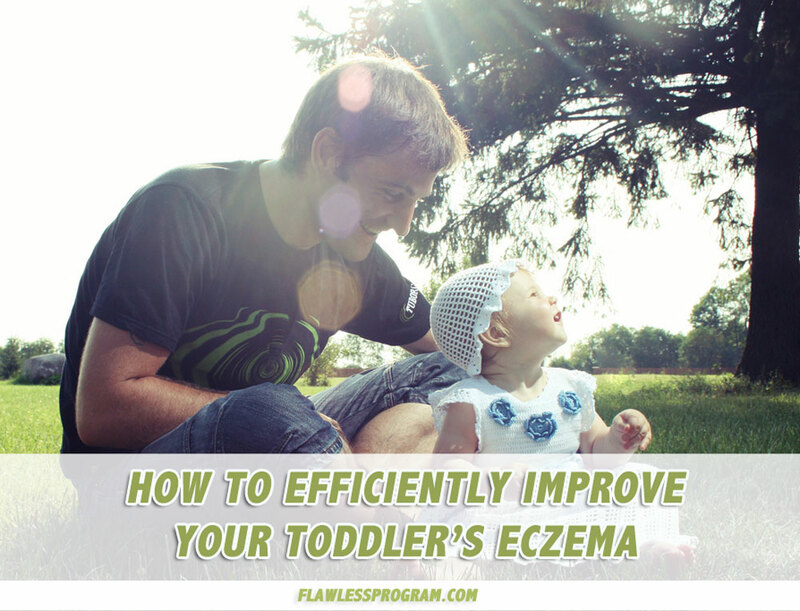 How to efficiently improve your toddlers eczema! Eczema is something that affects about 1 out of 10 children, and as the numbers increasingly grow, it’s becoming obvious that immune system health plays a big role. As many of you know, I first had eczema when I was 8 years old. Childhood eczema is something that hits very close to me because I know what it’s like to have to grow up with this skin disease, and as much as possible I want to prevent children from having to go through the same thing! Recently I’ve had the opportunity to work with some young ones, and have discovered some major issues that were commonly affecting young children who had early problems with eczema. While outside elements play a role, children can also suffer from issues due to improper gut and immune system care, as a young child’s immune system is not fully developed and more susceptible to diseases. This means that while the initial break-out may be triggered from outside elements like weather, pollution or pollen, if a child’s immune system is not properly taken care of, their body may have a harder time recovering and fixing the problem on their skin. Eczema is often the symptom of something much deeper, and if you find yourself always dealing with your child’s eczema, and don’t know what could be causing it, then start by following the suggestions below! Stop them from drinking liquid candy. When children overdo it on sugary foods and drinks, it affects their immune system negatively. Sugar causes the bad bacteria in the gut to grow at a very rapid pace, which can raise the inflammatory levels in their immune system. If they’re already struggling with eczema, sugar doesn’t help! Sugars are found in almost everything, but since young babies and toddlers don’t really eat “everything”, it’s easier to pinpoint the main source of where their sugar comes from: fruit juices. Children are often given fruit juices (at daycares or at preschool) by teachers or parents, who well-meaningly want their child to drink something healthy. The problem with this however, is that depending on the beverage, you could be giving your child AS MUCH or MORE sugar as a can of coke. For comparison, 12 ounces is only 1.5 cups: the amount usually in a bottle or pack of children’s juice. According to the AHA, young children should only be consuming 10g of sugar a DAY. That’s the equivalent of 3tsp. One juice box already sets them 3x over the recommended sugar level, and regular intake could be one of the reasons for an eczema flareup. Another big issue with juices is that children are often allowed to over-drink because people assume that it’s healthy. If you’re not careful, this could lead to your child drinking up to 60g of sugar PER DAY. That’s twice the amount recommended for a grown adult man! Really, if the sugar levels of the beverage are the same as can of coke, then it doesn’t matter how many vitamins or how 100% organic it is. Sugar negatively impacts the immune system, regardless of where it’s from. Sugar is inflammatory and does more harm than good for eczema. If you’re struggling with your child’s eczema, stop the fruit juices and lessen the amount of sugar in their diet to 10-12g a day. Talk to their teachers, babysitters or daycare workers to ensure that they aren’t giving your child high amounts of sugar. Baby Formula: get rid of the sucrose. Speaking of sugar, did you know that baby formula’s (even the healthy expensive ones from Whole Foods!) have added sugar? Because breast milk is naturally sweet with a sugar called lactose, in the beginning, formula companies were adding natural lactose to mirror the milk profile in mother’s milk. In the past decade however, big food corporations and companies have started to replace lactose with other sugars, possibly due to the fact that lactose has become really expensive to buy. Instead of natural lactose, they have put cheaper sugars in baby formula like sucrose, cane sugar, corn syrup solids, or glucose solids. In the US, it seems that the problem with baby formula’s is one of the worst, as the FDA still allows the use of sucrose, even in “organic” baby formula’s. This surprised me because in 2009, 27 countries of the European Union banned the use of sucrose sugar in baby formulas. Sucrose is known to harm tooth enamel faster than other sugars, and once babies get used to its sweeter taste, they might resist less sweet formulas or solid foods. Some studies suggest that it could also lead to overeating and rapid weight gain in the first year, which is often a predictor of childhood obesity. See tonight for yourself. If you notice that your child acts erratically, experiences sudden sleep crashes, or is really hyper-active after drinking a bottle of formula, then that’s one sign that the formula contains too much sugar. Not only is the excess sugar in formula creating high inflammation levels that can cause eczema, but it will also make your child appear more cranky, have possible weight gain and sugar addictions, and grow up easily susceptible to immune diseases such as the flu and viruses. If you can’t breastfeed, then switch to a no sucrose formula or low-sugar formula to really improve your child’s eczema condition. The only brand I can recommend right now is HIPP , as they only use the sugar lactose. This is the ideal sugar in baby formula as it closely mirrors the sugar found in mother’s milk. Avoid processed dairy and inflammatory oils. If your child is eating a lot of processed dairy products or inflammatory oils, then it won’t help their eczema! Processed dairy products are full of trans-fats, additives, and other additional sugars that wreak havoc on their young bodies. Remember, if your child’s eczema isn’t clearing up like it should, then you want to reduce the inflammation as much as possible so that your child’s skin has a chance to heal. Products that are known to cause inflammation in the immune system are canola oil, margarine, processed cheese spreads, processed cheese, and peanut oil. Even if they say “Organic”, they are still inflammatory or full of omega-6’s, and should be avoided for your young ones with eczema. Avoid the processed products that cause inflammation, and feed your child 100% natural dairy and oils instead. If your child can tolerate dairy, then it’s okay to give them grass-fed butter (Kerrygold), real aged cheese, full-fat yogurts (without sugar) or coconut milk. For oils, organic olive oil and pure coconut oil are amazing options. These are healthy fats that reduce inflammation, which will help to improve your child’s eczema. Watch out for leaky chemicals in sun screen. Parents are often slathering their children in sunscreen and sunblock, and while protecting them from the sun is a good idea, many average sunscreens contain highly toxic chemicals that can irritate your toddler’s skin. Non-mineral sunscreens are the most dangerous as they contain chemicals that are easily absorbed by the skin into the bloodstream. According to EWG, two of the most common chemicals in non-mineral sun screen, Oxybenzone and Octinoxate, were found to penetrate the skin and even detected in mother’s milk! That goes without saying that it could negatively affect your child if they still breast-feed. These chemicals are found in 75% of non-mineral sunscreens, and when absorbed through the skin, can frequently lead to inflammatory skin conditions like eczema and other rashes. For a safer choice of sun screen, choose mineral sunscreens instead. Mineral sunscreens are much safer, as they are not usually absorbed by the skin, and more effective at blocking UVA rays. They are also not allergenic and are one of the best choices for yourself and your children! I recommend using Kiss My Face Sun Screen for you or your child. It’s mineral, doesn’t contain oxybenzone or parabens, and isn’t oily or greasy! Young children’s skin is very sensitive, and their skin could react badly to the chemicals in non-mineral sunscreens. The mother’s skin absorption of sunscreen is also a big factor if your child is breastfeeding. Mineral sunscreens for yourself and your child are much safer and should be used instead. Make their mash with prebiotics. Prebiotics are found to make up 8% of mother’s milk, and they help by stimulating and growing the good bacteria in a child’s gut, which helps to support a strong immune system! While more research still needs to be done on the area of artifical prebiotics, studies have shown that NATURAL intake of prebiotics could help prevent young children from developing eczema and other immune system disorders and allergies in the future. 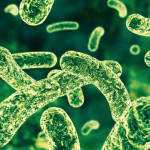 Prebiotic foods are currently recommended for treating constipation and diarrhea in children, and research shows that they can also help protect the gut from harmful micro organisms that could lead to infections. If your child is starting to eat, then making them a mashed banana or yam could be extremely beneficial, as natural prebioitic foods help by strengthening their immune system. Of course, just use caution, as some children might be more sensitive to some foods than others. While prebiotic foods haven’t been shown to heal eczema, they are extremely helpful in stimulating the good bacteria which can help in preventing future eczema breakouts. 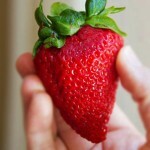 If you breastfeed, prebiotic foods should definitely be included in your diet! Introducing your child to natural prebiotic foods is a good step to strengthen their immune system and could help prevent future eczema or other allergies from reoccurring. Remember, if your child has chronic or recurring eczema, then it’s often a symptom of something much deeper. By lowering the inflammation in your child’s body and focusing on immune system health, you will hopefully start to see progress in your child’s eczema condition and even prevent them from developing eczema in the first place! I found your website after doing a search for the link between hormones and eczema. I have a 3 month old girl who has had eczema since she was a couple of weeks old, pretty much everywhere except her face and nappy area. I also have eczema (currently under control) and a family history of atopic conditions (eczema, asthma, hay fever, allergies). I can understand the link between gut health and skin health, but as my baby is exclusively breastfed I’m not sure how this would apply to her? So I wondered if hormones might have something to do with it? I have two other children (boys) who don’t suffer like my daughter does. 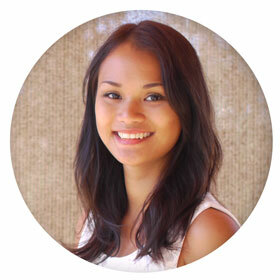 One thing I noticed during pregnancy this time was my belly was extremely dry and flaky — it’s never been like that before. And when my daughter was born her skin became extremely dry after the first week (and still is). So I wondered if there was some hormone imbalance that was causing it? I know for myself, my skin goes up and down with my cycle. We moisturise her with Dermeze ointment multiple times a day, plus are using a 1% cortisone on flare ups. I’ve recently switched to trying Sudocream on her red patches (a zinc oxide nappy rash cream) in the hopes I can stop using the cortisone (not sure if it’ll work yet!). We also give her a bleach bath (10ml bleach to 10L water) twice a week to remove any excess staph bacteria on her skin, and colloidal oatmeal baths every other day. So I was wondering if there’s anything else I can try? I’ve been told it could be more damaging than helpful for me to try an elimination diet for my breastmilk but I’m willing to try anything if it clears her skin! We live in Australia in a hot climate, and it’s the height of summer here which is also making it worse… it’s just so hard to see her uncomfortable and helpless to do anything about it. Any advice would be much appreciated! My baby will turn 1 year old and I had the same issue as you,and also breastfed her. I recommend that you quit all dairy, gluten, and processed foods with additives (msg, artificial flavors, preservatives, etc. ), and when you start her on solids do all natural homemade (no jar/pouch food) and same thing no dairy, no gluten. Try eggs and other items one at a time to watch for allergies. Most importantly, give her daily probiotics. We buy vitamin world 20 billion culture pills that you can open and mix in food or water. Diet plays a huge role in recovery, you’ll help her build a stronger immune system, and gut. Other than that, keep up the oatmeal baths, keep her moisturized (apply lotion several times a day, whichever one works best for you, we like exederm, cerave, and eucerin). For flare-ups do not over use hydrocortisone and do not stop using it abruptly (when you’re ready to quit apply it every 3rd day until you stop). You can purchase a steroid-free cream named Bepanthen (Dexpanthenol) on Amazon, works great to keep moisture in and repair skin (available otc super cheap in my country). Also, try apple cider vinegar (raw with mother) diluted, directly on flare-up skin, especially open or weeping. Just use a cotton ball to apply. This is my advice but diet will be the biggest game changer for you, we lived through the worst 8 months until we saw a pediatric nutrition expert and her skin was transformed in DAYS after we started on this type of diet. Hi Sharon, I know your comment was to Katherine, but I just wanted to thank you for sharing your advice for babies with eczema. 🙂 The more information out there the better! I’m also happy to hear that your baby’s eczema got better after days of changing her diet. Keep going! My son has severe eczema, we have tried many things to help. Then after I found foderma serum on google with good review and I ordered this serum just to see if it would help. Within days of using this, his hands are no longer bright red and inflamed. They are still patchy but I can’t believe how much better they look in such a short time. Thank you for sharing all these great advice. I’ve also had atopic dermatitis eczema since I was a baby. My parents tried everything and it definitely gotten better as I got older but I still had to manage the left overs with steroid creams. Going to natural remedies as you said is easier than done. But I’ve decided to really try this new strategy since my husband and I’m planning for a baby and it would hurt me so much to think about me genetically giving eczema to my future child. If you have any tips you have found or herd during the pregnancy period that reduces the chance to a baby I’ll love to learn about it. I would think I would have to manage it myself first but pregnancy is such a unique topic on it’s own and I herd I should avoid this and that etc. Any tip will help! Thank you and I’m looking to see your next video. I have a 2 year old daughter who suffered from eczema from the age of 5 weeks until I took her to a homeopathic doctor who prescribed a remedy to clean out her gut. She received one dose and we had to wait for 5 weeks to see results. After seeing it clear up around 60% he prescribed another dose and within a few weeks she was completely clear with soft, healthy skin. 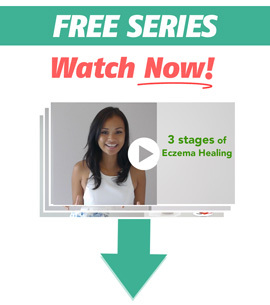 Again – the stomach eczema connection!